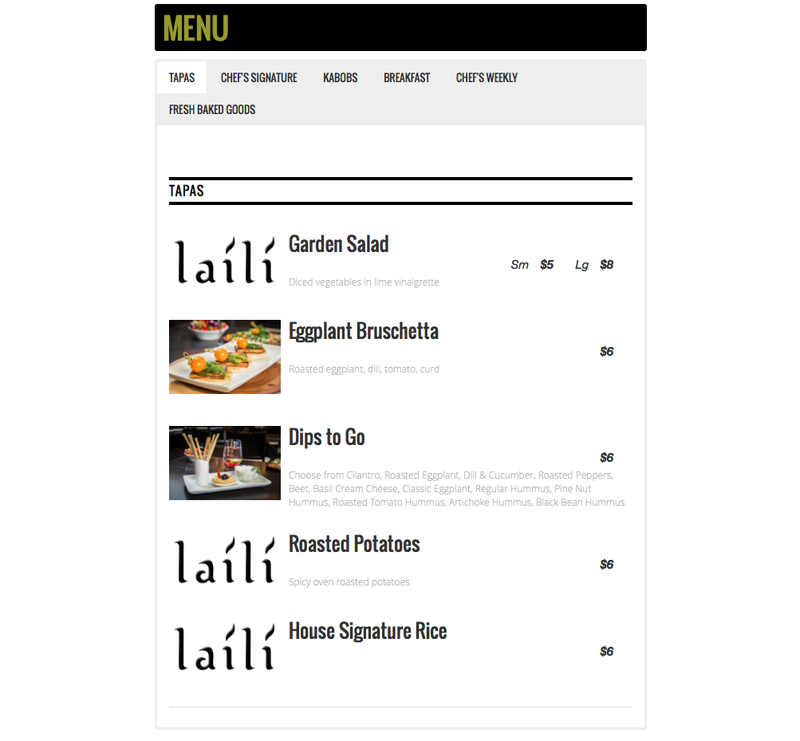 When Laili came to TIK:TALK, they had a concept for a new restaurant at the Farmer’s Market featuring their handcrafted dishes and their name, but that was about all. 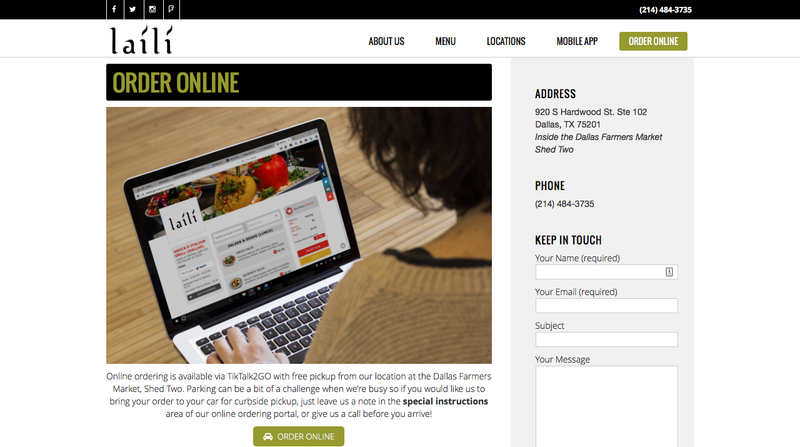 We worked together to develop their brand and created a website that would promote them to the Dallas market. Composed copy that explained their concept and brand. 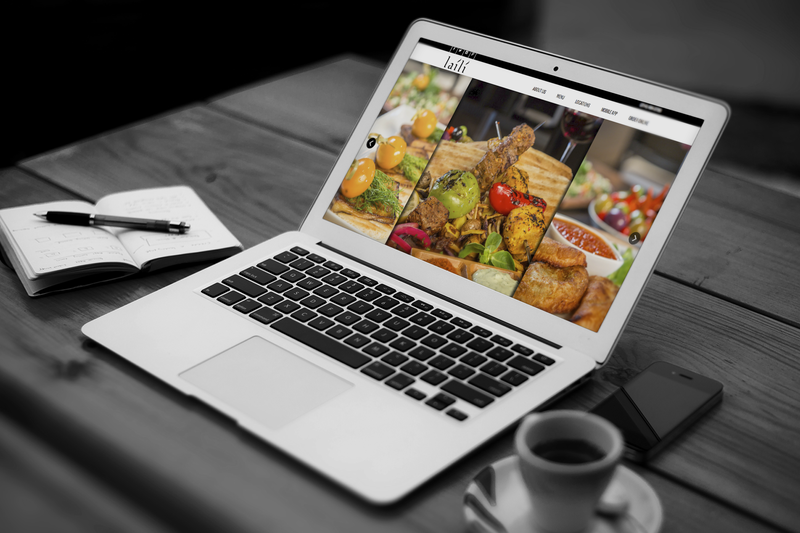 The website and all of the creative work that went into developing the brand for it have become the cornerstone of the Laili brand. The business has seen such success since its opening, they have added a second location. 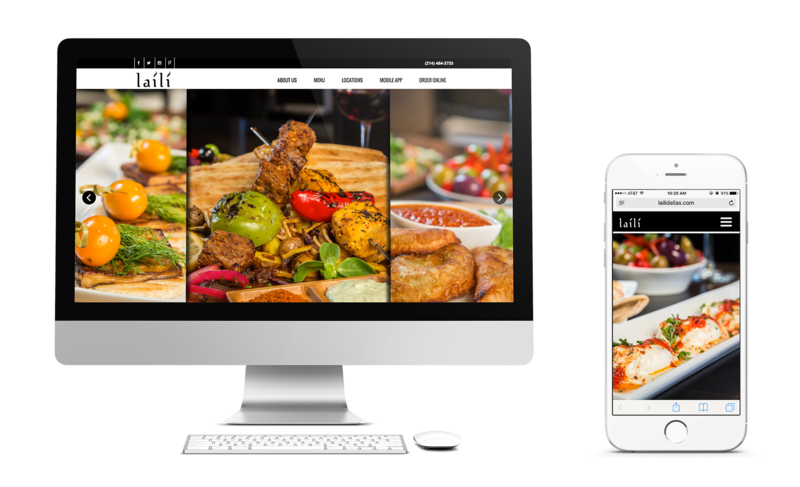 The website has set the tone for the quality of food that can be expected at Laili and helped promote their brand throughout the metroplex. The backend interface has made changing their evolving menu an ease for this concept kitchen.